LL Cool J wants to make old-school hip-hop music relevant for listeners today with a new SiriusXM channel. The two-time Grammy-winning rapper told The Associated Press that he will launch his classic hip-hop channel called "LL Cool J's Rock The Bells Radio" on Wednesday. He, along with DJ Z-Trip, will host an invitation-only roller skating event to help launch the channel during a live broadcast Wednesday at 10 p.m. Eastern in Los Angeles. "Rock The Bells Radio" will air on channel 43. The channel's name derives from LL Cool J's 1985 hit song, "Rock The Bells." 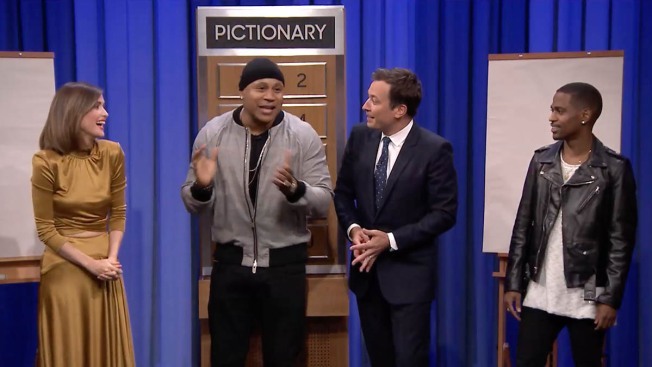 "I felt like classic hip-hop needed some leadership," said the rapper and actor, who also stars in CBS' "NCIS: Los Angeles" and hosts "Lip Sync Battle" on the Paramount Network. "It needed some organization. It needed somebody to step up and say, 'Hey, this music is dope, people love it and want to hear it.' But it has to be presented in a dope way and treated with the respect that it deserves." "There are so many artists who are the foundation of this culture," he said. "But it seems like they have been marginalized and pushed to the side if they're no longer on the pop charts. I felt like hip-hop has a story and a lot of founding fathers and mothers that the world should know. ... People know Run-DMC and myself, but there were people before us." LL Cool J hopes the channel can be an avenue for rappers from the 1970s, '80s and '90s to promote their past songs, unheard records and new material. He said the channel will feature interviews and classic hip-hop songs from Ice Cube, Outkast, Public Enemy, Run-DMC and Snoop Dogg. Even LL Cool J's past rivals, from rappers Kool Moe Dee to Canibus, will get some play on the channel. "I'm going to play even those records where they talk about me," he said. "I'm not going to deny none of the fans of my rivals' music. This is not about stroking LL Cool J's ego. It's about the hip-hop culture. We're going to dig into the crates for this."